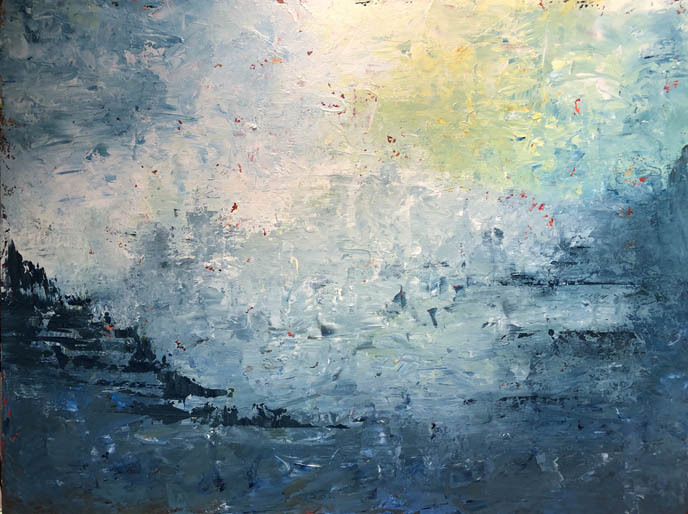 I absolutely love Diane's paintings - and continue to deepen in my relationship with them. They are what I had hoped for - pieces for contemplative reflection and aesthetic pleasure - and so much more. I thoroughly relish engaging them throughout my day - whether it's the first thing I see when I wake up in the morning, or moments to discern or to relax throughout the day, or the quiet reflecting that I enjoy doing particularly at the end of my day. They truly are such moving and exquisite pieces, and they continue to reveal more about themselves - and about me - as I spend more time with them... So many layers and nuances... They truly are gifts that keep on giving." "Your painting looks so perfect in our living room. What a treat to know that we will get to enjoy and treasure it for many, many years to come. Thank you so much for creating it." For me the most intriguing creative challenges in life, at work, and in art have always been about reconciling opposites: finding the common ground beneath obvious differences and unearthing the potential for unity that lies hidden in diversity. As an abstract painter I work to accomplish those objectives by balancing dark and light, form and meaning, movement and stillness. But in the act of starting with a blank canvas, generating shapes, textures and colors from scratch, I am compelled to engage with and reconcile oppositional forces within myself. My hope is that the results of that conscious engagement will bring forth artistry that not only pleases the eye but also awakens a creative response in my viewers. As Pema Chodron says, " It's the rub between ... reality and vision -- that causes us to grow, to wake up, to become decent, alive and compassionate." For both painter and audience, abstract art offers a unique opportunity to step outside preconceived notions of what the world is like and to explore new possibilities of grace. 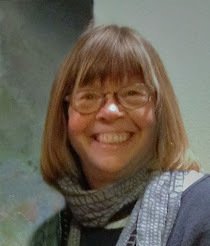 Diane Walker is an artist and writer who lives on an island in Washington State.